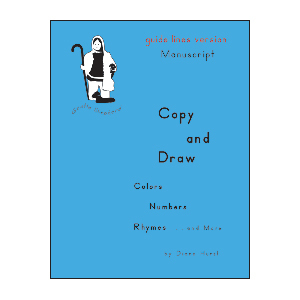 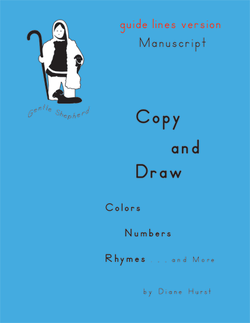 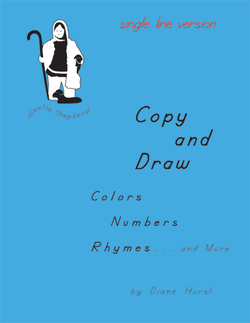 Printable pages for drawing along with penmanship practice (copywork). There are blank boxes for the student to draw pictures to go with the copied phrases. The custom font we use here, and in some of our other ebooks is one our family made; our oldest son is a graphic artist, and helped develop this while he was in college. 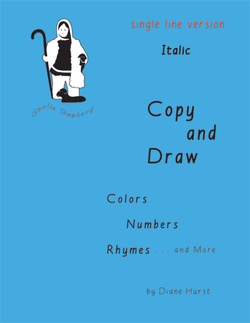 It is kind of a cross between D'Nealian and Italic-- having slightly slanted letters but with a curvy "w" and "y." 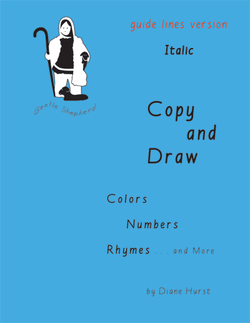 This is a "ball and stick" style font.